Sunrise over Rannoch moor on a windless morning with new snow ladled over the distant Blackmount. 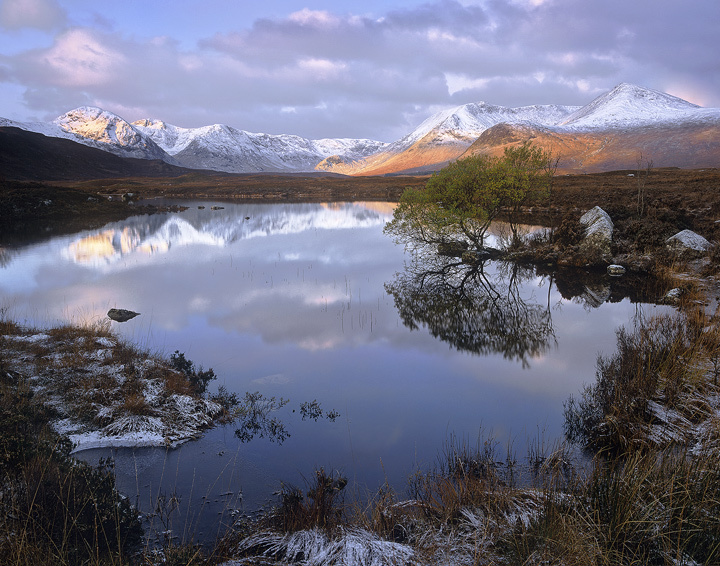 At first light, sunlight painted the distant summits and I composed this very pleasing foreground pool and rim of frosted grasses at the same time ensuring a strong reflection of a tree overhanging the tiny lochan still with green leaves adorning its canopy. A real favourite of mine.